While many people are familiar with LEED for New Construction, some have overlooked the fact that there is a similar system in place for the healthcare industry. Allowing healthcare facilities the unique position in providing a better patient experience. LEED, also known as Leadership in Energy and Environmental Design, is a third party certification program for green buildings. As the number one third-party provider of verification for green buildings, it helps organizations address sustainability issues. In short, here’s what you need to know: a LEED certified building is one that is environmentally friendly and designed to provide workers and visitors with a healthy environment. What is LEED for Healthcare? 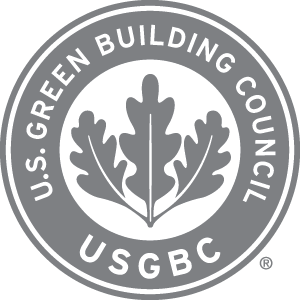 As noted above, LEED for New Construction is well known that helps builders and developers design and construct green buildings. While similar in many ways, the LEED for Healthcare Rating System is designed to meet the unique needs of healthcare facilities. Healthcare buildings, such as hospitals, have strict regulatory requirements, specific needs, and a 24/7/365 operating schedule. An example of this is the alteration of Indoor Environmental Quality credits to align with code regulations, infection control, and patient needs. The U.S. Green Building Council has modified “6 prerequisites and 25 credits” and added “3 perquisites and 15 credits” to its standard rating system. Serve patients in need of treatment. Licensed and federal long term care facilities. Licensed and federal inpatient care facilities. While these buildings are marked for “designated use” there are others, such as medical and dental offices, that can use the LEED for Healthcare system under a non-designated use classification. Green building is cost effective, related to reduced daily operating costs. The green building sector continues to grow, leaving behind facilities that are not certified. LEED certified buildings are internationally recognized, thanks to nearly 100,000 projects in more than 150 countries throughout the world. Green buildings are designed for less impact on the environment. Green buildings have lower utility bill costs. If you’re familiar with LEED for New Construction, you should have a basic idea of how the LEED for Healthcare Rating System works. While there are some differences, it’s not an entire overhaul of its traditional guidelines. A growing number of organizations have come to find that green buildings can improve patient health, as well as the overall experience. With this in mind, new construction and existing healthcare facilities should consider their LEED eligibility. Chris brings more than 18 years of healthcare support services expertise. As a former contract management provider, Chris has an in-depth knowledge of provider fees and fee structures, enabling him to safeguard critical funds. Chris excels at finding ways institutions can reap benefits via rebates, paying the right price for the right product, and retaining low costs.